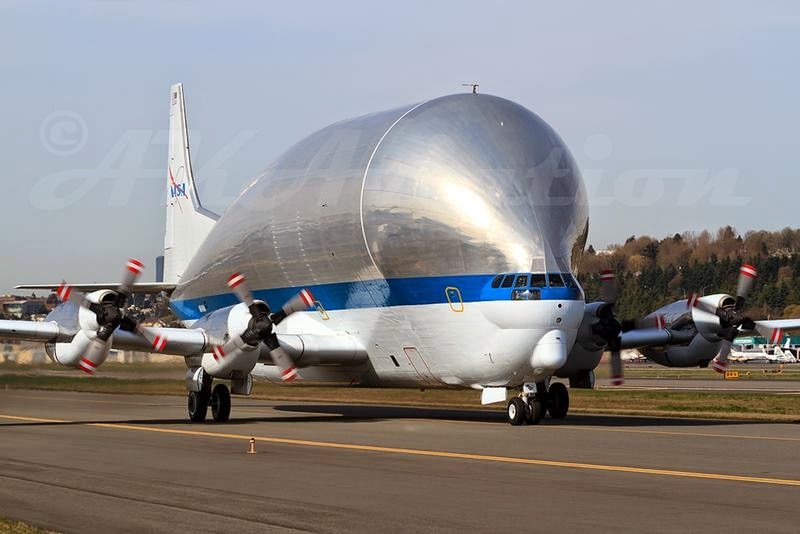 The Boeing 377SG Super Guppy flew for the first time on 31 August 1965. 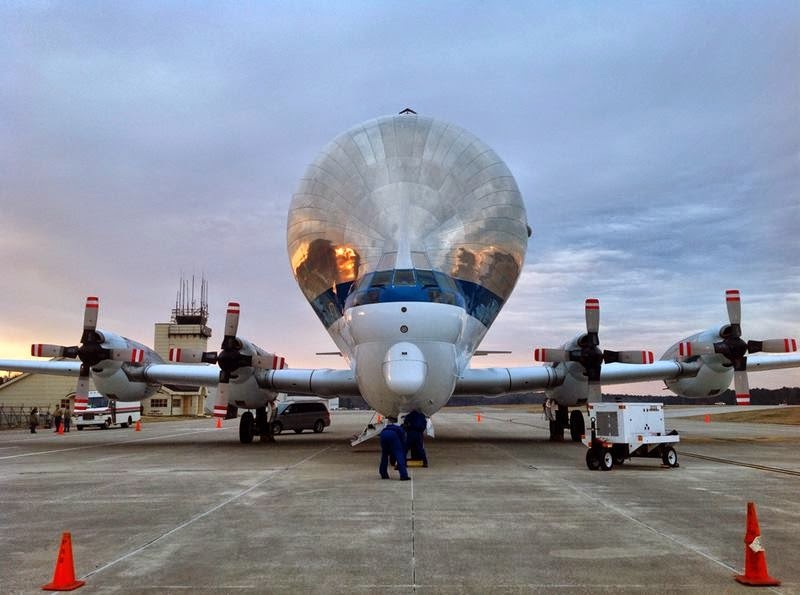 Without the Super Guppy, the only other way to get NASA's Apollo rocket stages from California to Florida was on a slow boat through the Panama Canal. 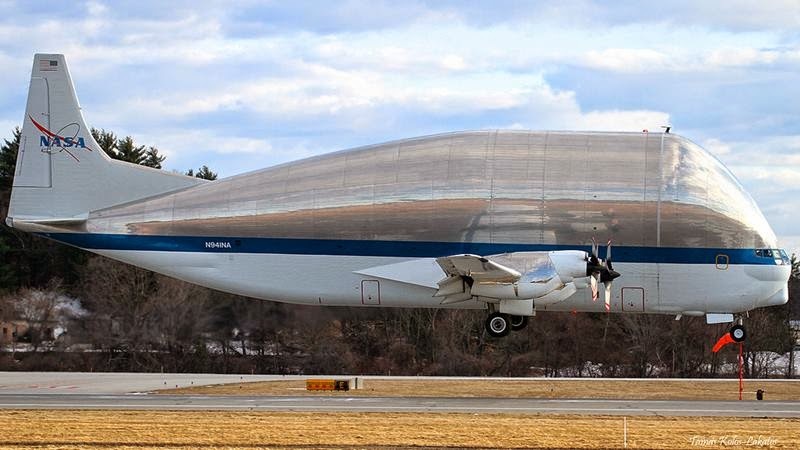 The Super Guppy cut not just days, but weeks and months out of the schedules. Of course, this success was also its downfall. Once the Apollo and Skylab programs were terminated, dwindling public interest in the space program forced cutbacks in funding. 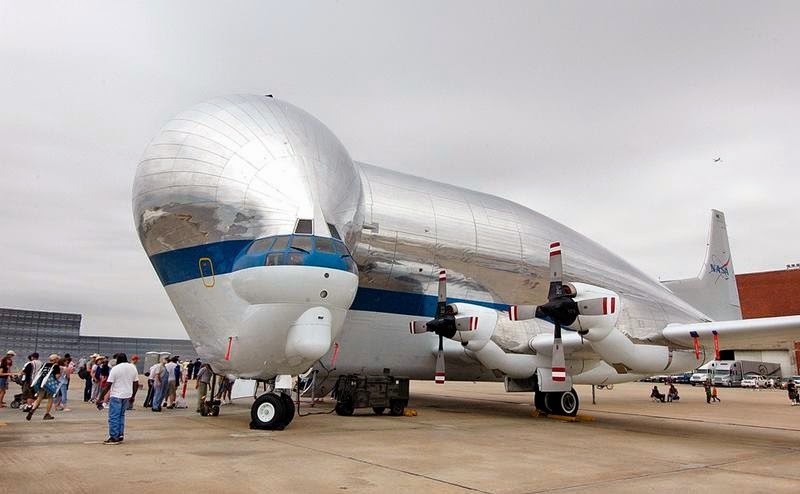 In an attempt to keep the company afloat, Aero Spacelines had to look for commercial applications for the Guppy. 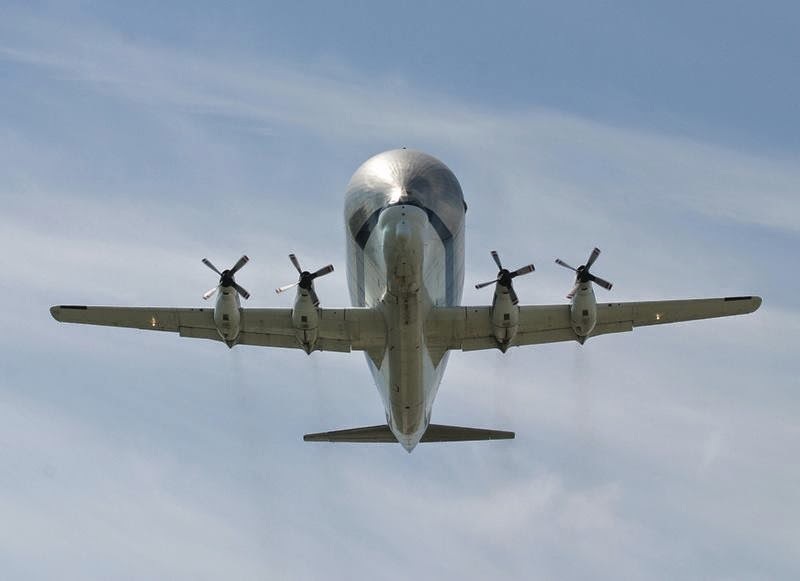 The stated cruise speed for the Super Guppy was 265 mph (426.5km/h) carrying a 40,000 pound (18,144kg) payload. 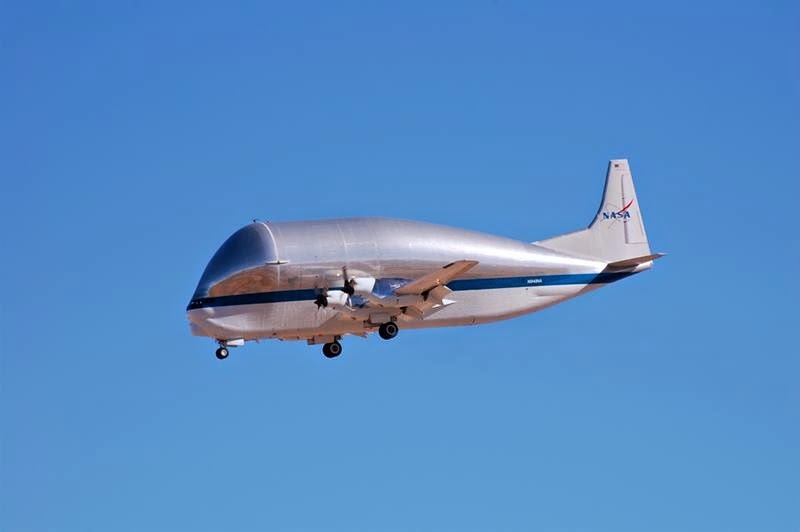 The ASI design engineers took the original Guppy concept as far as was practically possible with the 8 foot (2.4m) wide floor mated to a 25 foot (7.6m) diameter cargo compartment. The constant section of the fuselage measures 30 feet (9.1m) long. 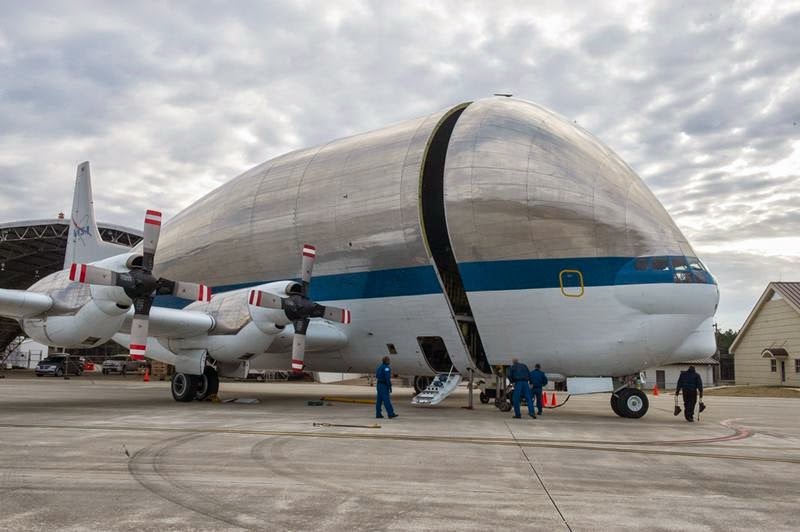 The overall length of the cargo compartment is over 110 feet (33.5m). All cargo was to be loaded from the front, making a swing nose the most practical method of loading. The unique hinged nose opens 110 degrees, permitting full frontal cargo loading. 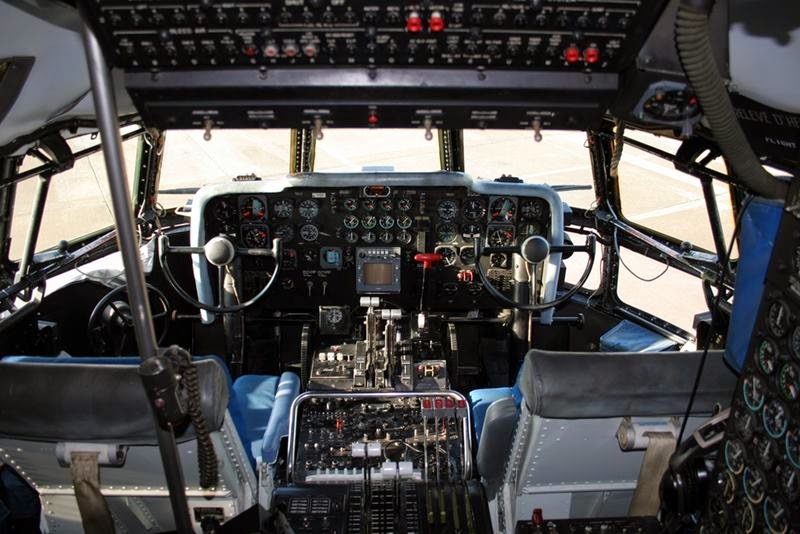 A control lock and disconnect system at the fuselage break allows the nose to be opened and closed without disrupting the flight or engine control rigging. Today, the International Space Station needs some of the same capabilities as the Apollo and Skylab programs. 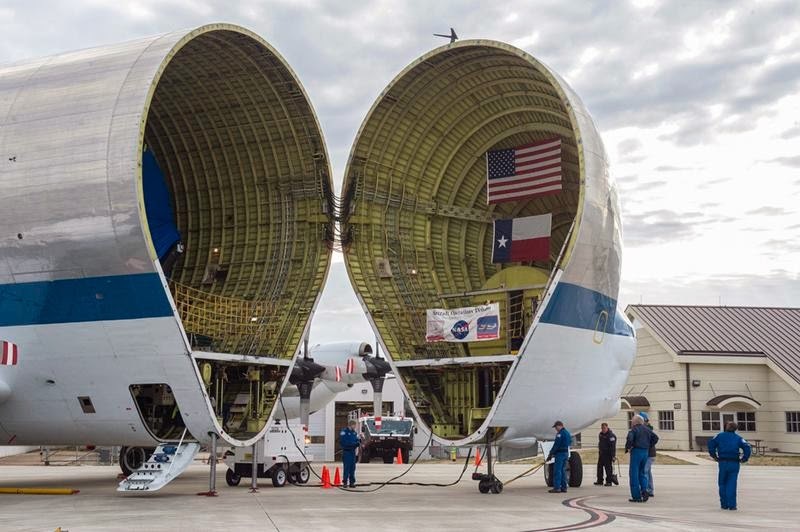 NASA and its international partners, with manufacturers worldwide, are building the newest wonder of the world. In the coming years, the International Space Station will be assembled in space. 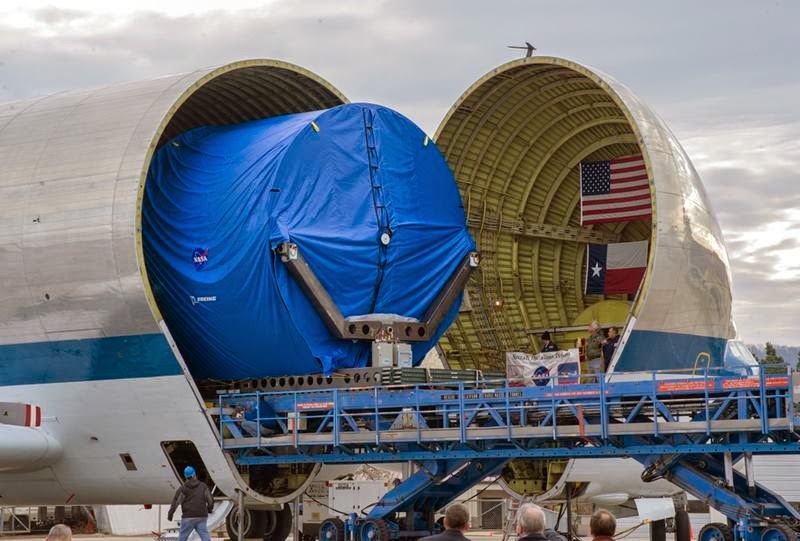 Its components will be transported to the launch site from all over the world. 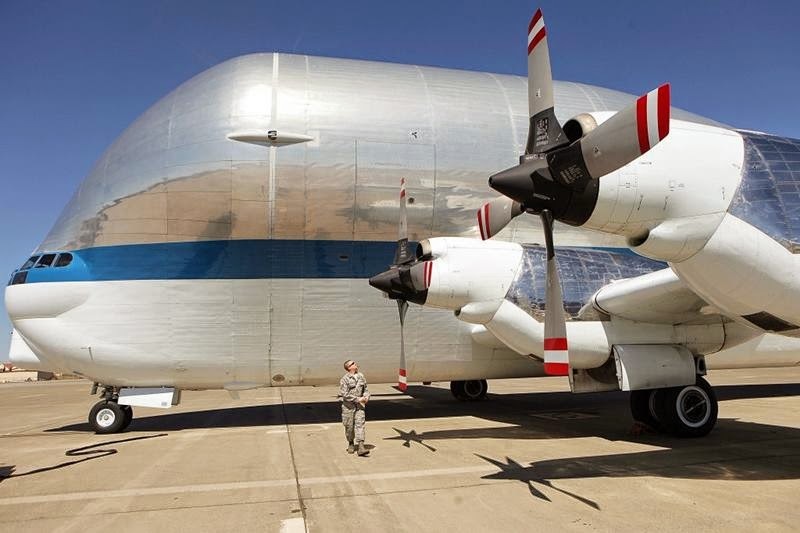 To solve the logistics challenge, NASA will use the latest version of the Super Guppy, the 377SGT-F. Image credit John Bezosky Jr.